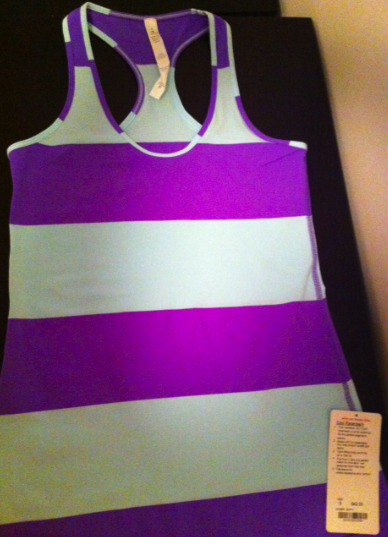 After crossfit this evening I raced over to the mall to pick up this new Power Purple Aquamarine Bold Stripe Cool Racerback and I’m happy to report that it’s designed in Vancouver and made in Canada. That automatically makes it a sale in my book. It does have a bit of polyester though, 46%, which makes the lighter aquamarine panels slightly sheer. It doesn’t feel plasticy and gross like some of the higher percentage polyester CRB’s are, but I also wouldn’t call this one especially soft. The fit is identical to the Power Purple CRB that was out earlier this month, and which I found to fit tighter around the bust than my other size 8 Cool Racerbacks. 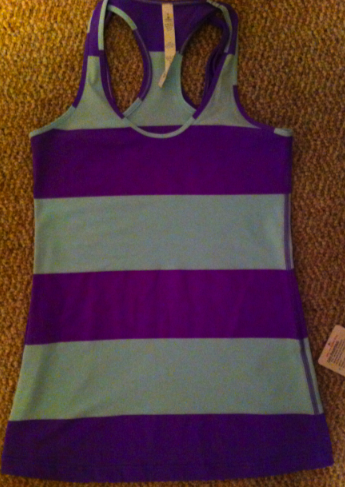 The stripes vary from tank to tank so you should weed through them and make sure you are happy with the stripe placement as well as the design around the neckline. 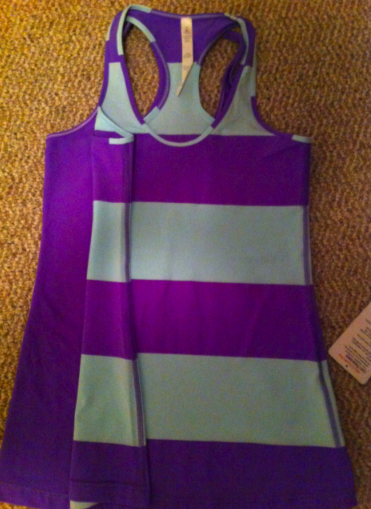 The placement of the darker stripes makes such a big difference in how the tank looks on depending on what area of your body gets emphasized. 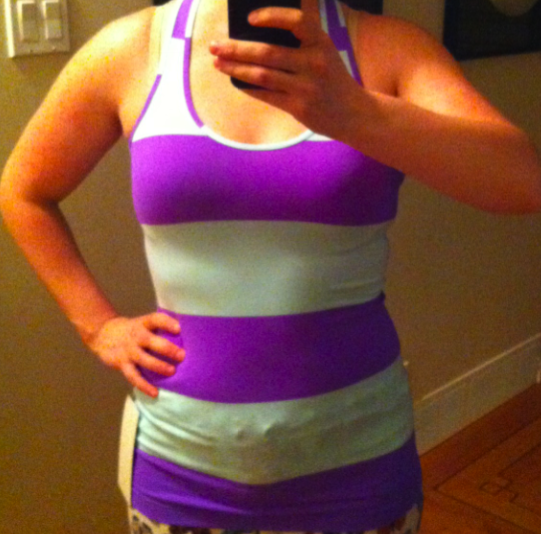 As you can see from my picture, you can totally see the print of my pants in the aquamarine panel. You can also see my 8-pack. Ha! It’s a fun print though and I really like it so I’m going to keep it despite the fact that I prefer a bit of a looser fit. Both of these next two pictures are of the new CRB laying on top of the Solid Power Purple CRB. 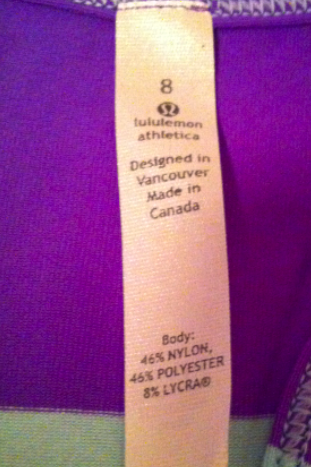 The sizing is identical between the two.